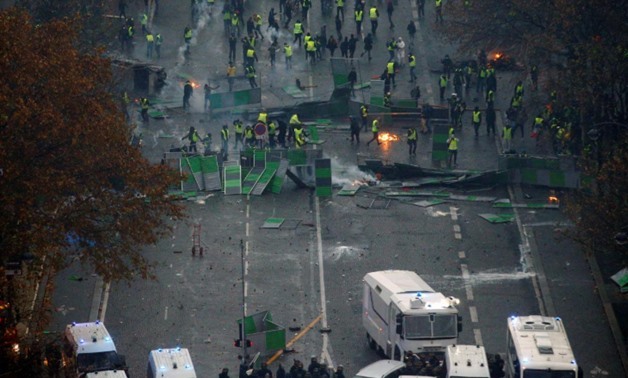 Riots earlier this week forced the postponement of Ligue One matches involving clubs from France’s two largest cities. Saturday’s scheduled matchup between runaway leaders Paris Saint Germain and Montpellier at Stade de France, as well as Olympique Lyon’s game with Toulouse are off until further notice. PSG manager Thomas Tuchel and his Olympique Lyon counterpart Bruno Genesio both welcomed the decision by the French Football Federation (FFF) because it gives them ample time to prepare for next week’s crunch Champions League ties. Lyon need a result at Ukrainian champions, Shakhtar Donetsk to keep alive their hopes of progressing from Group F whereas PSG need maximum points against 1986 European champions Red Star Belgrade to make it into the round of sixteen from Group C. PSG hold a double-digit Ligue One advantage over Lille Metropole, who are at home to Reims. Lille are the surprise team of the season. On Tuesday, Ivorian sensation Nicholas Pepe struck his ninth Ligue One goal of the campaign to help Christophe Galtier’s side to a 1-0 victory over Montpellier. Victory catapulted the 2012 champions into second place; a slot they’ve occupied for much of this season. Olympique Marseille will need a massive dose of self-motivation if they are to overcome a Saint Etienne outfit powered by the prolific form of Tunisian striker Wahbi Khazri. Last season’s Europa League losing finalists are currently fifth, a position that doesn’t reflect well on manager Rudi Garcia. Marseille are home to World Cup winners Steve Mandanda, Florian Thauvin and Dmitri Payet. On Friday night, Thierry Henry’s Monaco will be hoping to build on Tuesday’s morale-boosting victory over Amiens when they confront Patrick Vieira’s Nice. The two managers were long-time team mates in France’s national team and the Arsenal Invincibles. Henry was the more flamboyant player but Vieira is the gaffer under less pressure as his Nice side go into the game on a six-match unbeaten run.